An innovative, portable and low-cost pump used for irrigation. 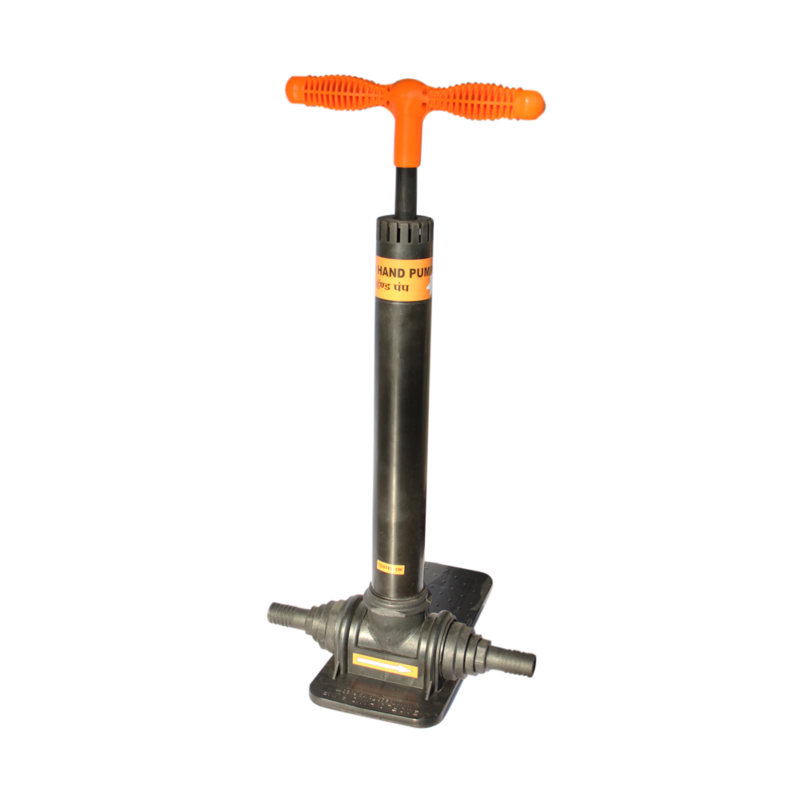 This hand pump works on the principle of traditional frame fit pumps used to pump air in bicycle tyres through a long air chamber, this water hand pump enables easy pumping of water through long distances. This pump is made of integrated plastic components making it robust in construction, less costly and lightweight. 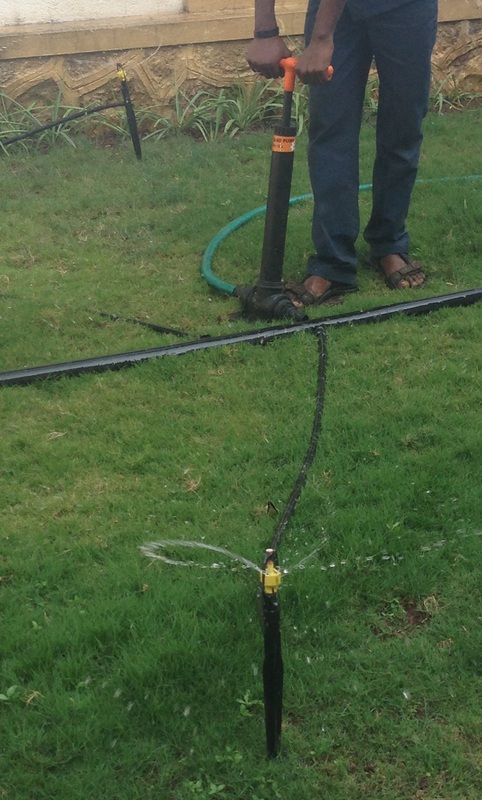 Recommended maximum suction depth of 5mtr well or water source. Recommended maximum delivery height of water 15mtr . Weighs just about 1kg and can be ported to any place by any person. No electricity requirement, works on hand power by any person. 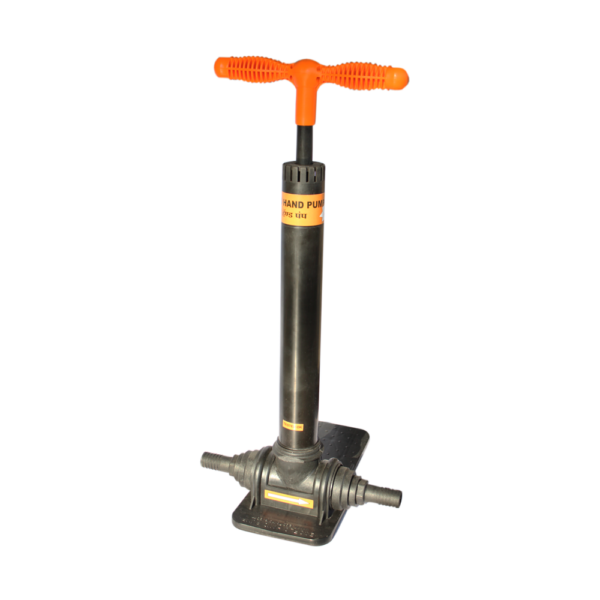 100% plastic pump, hence very smooth in operation, less wear, less maintenance and long-life. 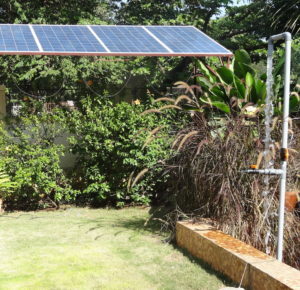 Directly runs drip and sprinkler kits to irrigate small agriculture plots. 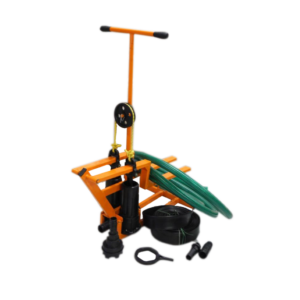 This hand pump can be used for agriculture for irrigation and for domestic household purpose to fill water in overhead /loft tanks. Ecoflo Hand pump + 7.5mtr. of 1″ braided suction pipe = For suction from wells. 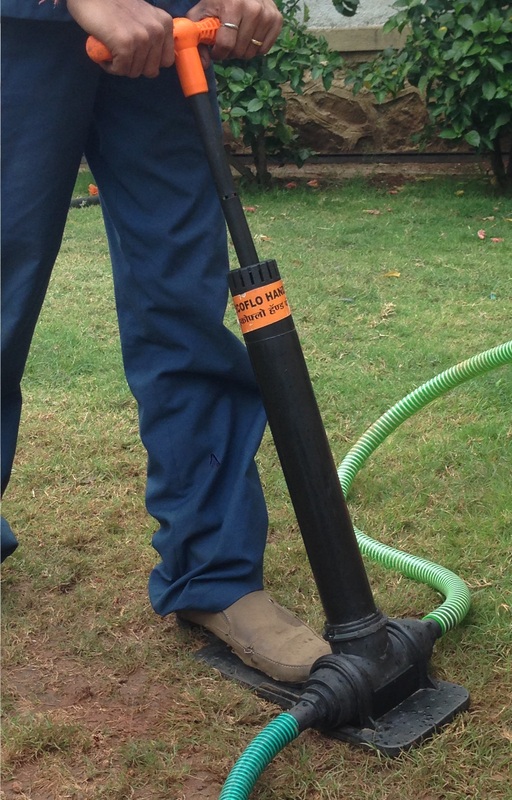 Ecoflo hand pump + 50mtr of 1″ plain lateral = For delivering water at a long distance. Ecoflo hand pump + 15mtr. of 1″ braided delivery pipe = For lifting water or filling water tank/container. Ecoflo hand pump + 7.5mtr. of 1″ braided pipe= For both suction and delivery. 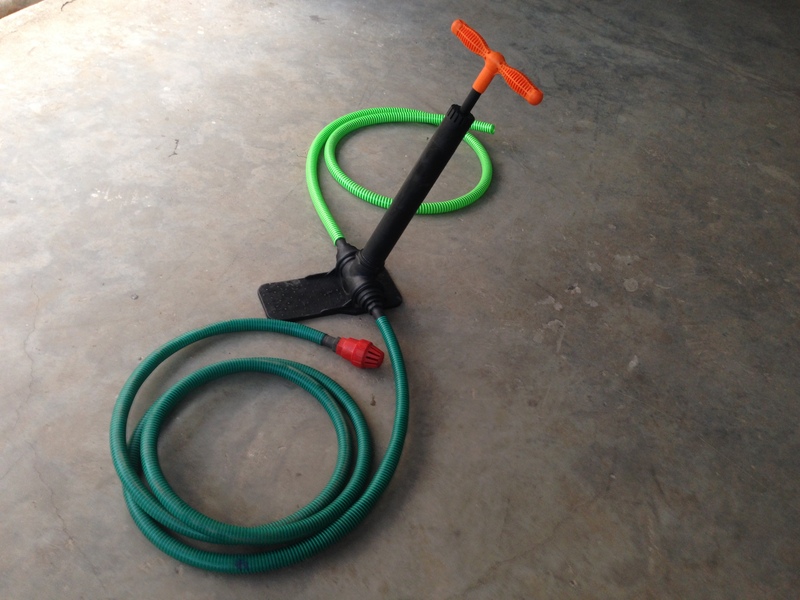 Ecoflo hand pump + 300 sq.mtr inline drip kit = to irrigate a 300sq.mtr plot (runs 12nos. of 25mtr inlines at a time). Ecoflo hand pump + 300 sq.mtr mini sprinkler kit = to irrigate a 300sq.mtr plot (runs 6sprinklers at a time). Can be used in dry or electricity-less areas. Can be used in case of emergency to pump water. Ecoflo hand pump is a boon to marginal farmers. Basically used by farmers to lift and fill water in overhead tanks, irrigate their plots, suction from wells and transport water to a distant storage. It works towards the upliftment of smallholder marginal farmers.